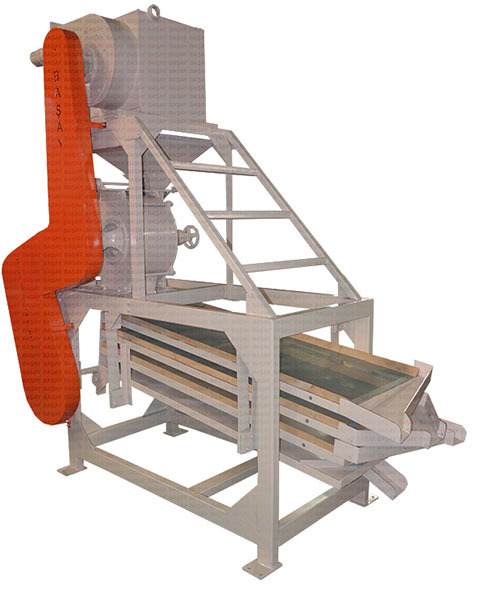 BAŞAY - Bulgur Crusher and Siever - Baserler Pazarlama Makina Imalat Sanayi ve Ticaret Ltd. Sti. Bulgur is Parboiled Cracked Whole Grain Wheat. Via air channel, it flaps bulgur/wheat to remove dust. It uses BASAY DESA Stone for breaking wheat into pieces. Breaking size can easily be adjusted via wheel on the machine. It can separate 3 sizes for different cooking styles. 600 kg / hour processing capacity.